Workshop registration "Basic Data Interconnection and Fusion splicing of High-power Optical fibers"
Abstract "Interconnection and fusion splicing of high-power optical fibers"
High-power optical fibers are displacing traditional bulk optical elements in applications such as laser sources, optical amplifiers and beam delivery systems. However, their high signal or pump powers, large spot sizes or mode areas aa well as large fiber diameters pose interconnection difficulties including signal loss, mode conversion, polarization crosstalk, reflections, localized heating, end facet damage and even catastrophic device failure. Various technologies have been developed to address these difficulties including mode field matching technologies, high-power fiber terminations, modal content measurements, and large-diameter fiber cleavers and fusion splicers. Along the most common wavelength regimes the course will also touch aspects of optical fiber characterization in the SWIR band of 900 to 2000nm. This material is intended for designers and builders of high-power single-mode, few-mode, and multimode optical fiber lasers, amplifiers, and beam delivery systems. This course builds upon a basic knowledge of optical waveguide theory. Andrew D. Yablon earned the Ph.D. from M.I.T. in Cambridge, MA. From 1998 until 2000 he was Senior Research Scientist at Vytran Corporation in Morganville, NJ, where he developed novel fiber processing and fusion splicing technologies. From 2000 until 2008 he was a Member of Technical Staff at OFS Laboratories in Murray Hill, NJ (formerly the Optical Fiber Research Dept. of Bell Laboratories, Lucent Technologies). In September, 2008 Dr. Yablon founded Interfiber Analysis. Dr. Yablon has participated as an author on over 80 peer reviewed publications, holds 22 US Patents, and authored the textbook Optical Fiber Fusion Splicing. His current research interests include optical fiber mode characterization, optical fiber refractive index measurement, and fiber interconnection. 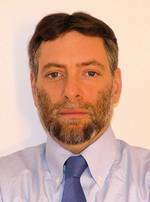 Dr. Yablon is a Senior Member of the OSA and has previously served as Chair for the Fibers and Propagations Effects Subcommittee of OFC/NFOEC. lmeys@amstechnologies.com, +49 (0)89 89 577-421. 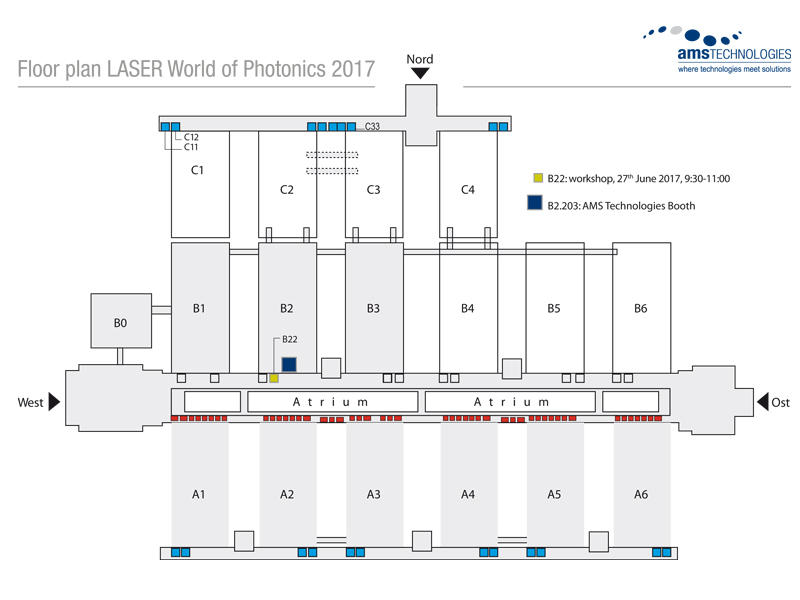 Entry ticket to the show "LASER World of PHOTONICS 2017"
Every attendee of the workshop will receive a free entry ticket enabling free entrance to the show "LASER World of PHOTONICS" on the 27th June 2017. We are looking forward to welcome you to our workshop and to our booth in hall B2.203.